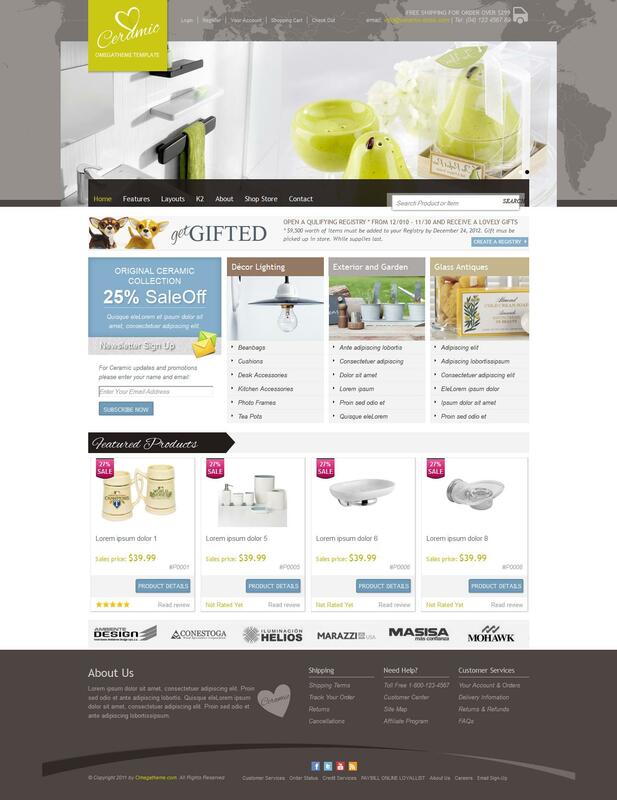 OT Ceramic - another professional template online store based on Virtuemart component from the design studio OmegaTheme. This template is designed to meet all modern requirements, has a stylish design that allows you to create a quality website. Used in studio template framework Solid Framework, gives additional functions that can be useful webmaster when designing any website. Availability popular K2 component significantly increases the chances of a template. The template has a fast speed of loading pages, has optimized code files and supports a variety of mobile devices.